Ask any Indonesian to mention the most iconic natural wonder in North Sumatra, big chance he or she will mention Danau Toba (Lake Toba). This volcanic lake is one of the most distinctive in the world, because it has been deduced that this ‘lake’ is actually the mouth of a giant volcano (super volcano). Lake Toba and Samosir Island, which is located in the middle of the lake, are two natural wonders in North Sumatra that holds a lot of potentials as well as beauty. According to geological point of view, this beautiful and serene lake was once a massive eruption site that brought drastic climatic change and phenomenon called volcanic winter. This is known among geologists as the Toba Catastrophic Event, which occurred around 75,500 years ago. 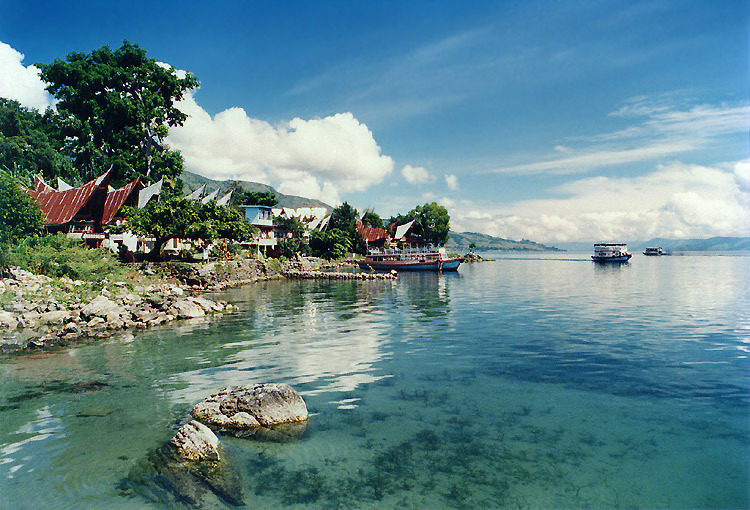 Lake Toba that we know now is actually a caldera, and Samosir Island is a resurgent dome. However, while this volcanic lake spread terror and disaster thousands of years ago, it is now one of the most iconic natural travel destinations in Indonesia and the world. Let us see what this lake has to offer if you visit. Lake Toba is rich in its biodiversity, with fertile ground and lush tropical forest around it, with many species of birds and mammals. On the higher ground, the forest consists of pine forests. The lake is also habitat of various species of phytoplankton. However, the lake itself is poor in nutrition, so there is not much fish living there naturally. Besides the endemic Batak fish (Rasboratobana), other fish species in this lake were introduced from outside. Toba Lake and Samosir Island are beautiful and they make great photography objects. In addition, the lake water is naturally warm because of the volcanic nature; this makes many visitors love to take a dip in it. The volcanic nature of this lake also created several hot springs on the western part of Samosir Island with IDR 2000 (around 2 cents) as entrance fee, and free use of communal hot spring pool. Unless if you want to swim in ‘foreign tourist’s pool,’ which costs IDR 10,000 ($1). 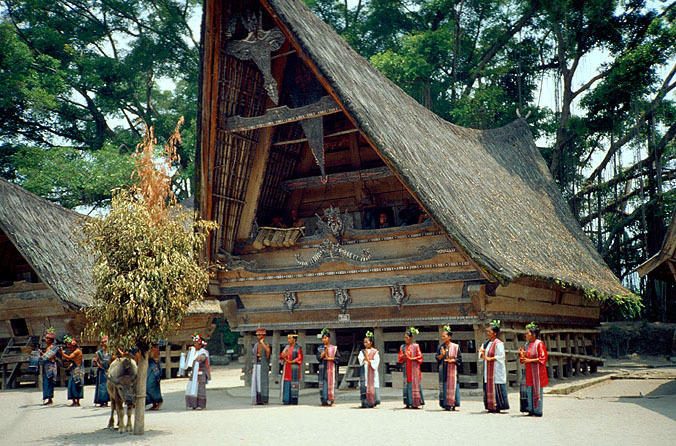 Locals who live around the Toba are mostly from Batak ethnicity. They are friendly and enthusiastic to help tourist get around, sometimes showing the nearest cheap restaurants or the best spots to take pictures. While their native languages are Batak, they mostly can speak Bahasa Indonesia. Many locals also perform in various dances specially presented for tourists, cooperating with travel agents and local restaurants. Visiting Toba Lake has long become recommended itinerary for hotels and travel agents in North Sumatra. While there are now many public facilities and entertainment to enjoy around the lake area, there is nothing better than kicking back and enjoying beautiful view quietly, savoring the beauty of this super volcano that once had become so destructive. Despite its history and adversaries that the lake faces now (including illegal logging, pollution and deforestation), Lake Toba and Samosir Island will still become North Sumatra’s iconic pride and continue to draw visitors from around the world.